The Sembler Co. and Forge Capital Partners have purchased the Humblewood Center, a 172,897-square-foot shopping center anchored by Petco, Sketchers and Conn’s Home Plus. The center, at the southwest corner of U.S. 59 and FM 1960 just south of Deerbrook Mall, was purchased from Weingarten Realty Investors. The purchase was made through their Forge Real Estate Partners III investment fund, which now owns eight shopping centers in Florida, North Carolina, and Texas. 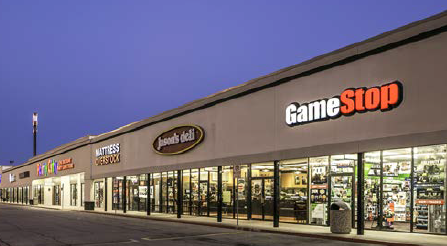 The deal represents the first Houston purchase for the investors, and their second in Texas after buying an Austin shopping center a few years ago. St. Petersburg, Fla.-based Sembler Co. has more than 50 years experience in developing, acquiring, leasing, managing and redeveloping real estate. Forge Capital Partners is based in Tampa. Feser, Katherine. “Florida Investors Buy Shopping Center near Deerbrook Mall from Weingarten Realty.” Houston Chronicle, Houston Chronicle, 14 Apr. 2017, www.chron.com/business/real-estate/article/Florida-investors-buy-shopping-center-near-11072338.php.